Nikki Crumpton considers the Olympic and Paralympic Games and how McCann Worldgroup helped to create the greatest show on earth. My kids are arguing. Normally, this would be a problem, but today they are arguing over who will be Jess Ennis. And this gives me a great deal of satisfaction. 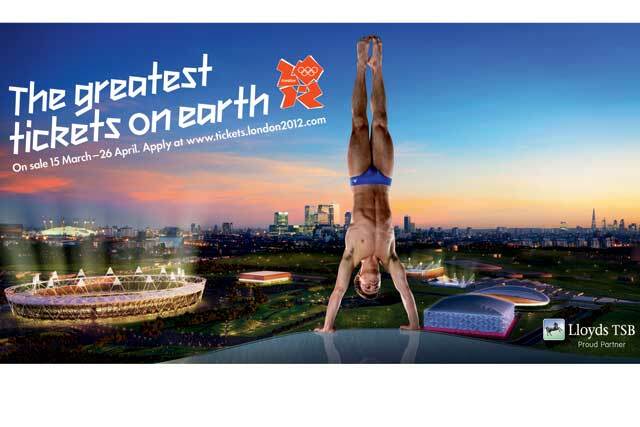 Four years ago, here at McCann Worldgroup, we started a journey with LOCOG not just to stage London 2012, but create a lasting legacy beyond the Olympic and Paralympic Games that would inspire a generation to reconnect with sport. In the lull between the Olympic and Paralympic Games, I have a bit of time to reflect on what we have gained as a nation and, on a smaller scale, a business. That argument between my two girls gives me the feeling that, when the Paralymic Games end, instead of finishing something, we might have started something that will have a longer-term impact. Much has already been documented about London 2012, but I think at the core of the impact we have seen thus far sits the timeless skill of telling a story well and how that enables integration to happen on a massive scale. When I say integration, I am not just talking about communications integration, but integration that goes way beyond that and is able to bring together people, communities and, ultimately, a nation. Integration that has joined the Olympics and Paralympics in a way that has never been seen before. Danny Boyle's "bonkers" opening ceremony was genius for one very simple fact. It wasn't just the world that got to witness our story for the first time in a long time, it was also us, the British people. We experienced the ultimate shared moment and, in doing so, it started to stitch us back together. The endless debate about what Britishness is was redefined in an evening and we all looked at it and breathed a national sigh of relief. Here we were at last - we'd been a bit lost and a bit broken, but this extraordinary storyteller held up for everyone to see what a great place Britain and its people are. Boyle describes himself as "just a storyteller" on his Twitter profile. In my mind, he is now the storyteller for our nation. But - and not to diminish the opening ceremony in any way - it was only one element of the most ambitious example of integration I have ever been part of in my life and probably never will be again. The story of the Games Makers we fell in love with, the way our capital rose to the occasion, the torch bearers who symbolised a nation's return to itself, the unprecedented 2.2 million tickets sold for the Paralymics and, of course, that amazing medal haul so far from Team GB all came from a single narrative that found its expression in a myriad of ways. It has resulted in a Games that has thus far been so brilliantly executed that we couldn't contain our pride and was summed up in the Tim Berners-Lee quote: "This is for everyone." Back in 2009, as we sat down to absorb the scale of the task - how the hell do you turn 40,000 briefs, with one immovable date, into an integrated whole that creates mass participation and mobilisation of the nation on a scale that hasn't been seen since World War Two? - it was very hard to believe that a country and a media so marinated in cynicism and battered by the deepest recession since the 30s would turn into such a unified positive body. Now is not the time to regale you with each milestone and how we built the story. Needless to say, it meant integrating 44 separate functions around a single narrative of a nation pushing past its personal best to deliver a Games that would inspire future generations. But it is maybe the time to talk about how what we were part of has made our business rethink what integration looks and feels like. If you want people to deliver an integrated experience, thinking way beyond the marketing is the only way to deliver it. In marketing, we're used to seeing the fruits of our labour in bite-sized chunks. When we see our efforts in their entirety, it's normally in an artificial form such as a case study or an awards entry film. Walking through the Olympic Park, I got to see the integrated whole come to life right in front of my eyes. Seeing the Games Makers, all doing their bit to make mine and everyone else's Games, was an incredible feeling. We had helped to recruit these people. Two of the creatives in our agency had named them "Games Makers", and the uniforms they wore were created from a palette and design system made by us. The flags that fluttered in the Park, the seating colours in the stadium, the ticket I held in my hand were also part of that system. The enormous, positive, beautiful crowd was there as a result of the tickets we had helped to sell. But I could also see the things we hadn't been directly involved in but were telling the same story and how that was building into an experience that was incredibly holistic. It was amazing to see, and yet not unfamiliar, because this was what we had allowed ourselves to visualise at the beginning. We had imagined crowds, not ticket sales; flags and seats and planes and cars and ticket designs, not design guidelines; atmospheres that spread beyond the venues, not crowd management. We visualised something that all locked together to create a feeling of being at one great big festival. I am convinced that it was this strong visualisation that we all had across all the functions that created the level of integration we achieved across so many different elements. We seldom integrate our efforts around what we want to be remembered for tomorrow and focus far more on what we want to be noticed for today. Brands, more than ever, have an increased responsibility to do this in a world whose economy is broken and on a planet that is straining under the weight of excess. We need to keep the human questions much closer to our thinking and integrate around delivering what matters to people. The Games' focus on legacy has made an organisation with a short-term tenure have a potentially very long-term effect. Because of that focus, London 2012 has a chance of being more than just a memory but a powerful element in our present and future. This is how we should be building more of our marketing. What has really made these Games capture the public's imagination is our exposure to the backstories. Our narrative thread of pushing past your personal best has allowed a level of detail that has revealed London 2012 to be more than just 28 days of sport. We know Jess' fight and Mo's struggle. But we also know that we completed the stadium ahead of schedule, that this is the most sustainable Games ever staged and that we have transformed a whole area of London. These backstories are as important to the marketing of the Games and engaging different constituents as the selling of tickets and merchandise. As brand custodians, we would do well to remember that great marketing needs subplots and side-stories. I would go as far as to say brands limit their commercial success by not having enough backstories with which to remain interesting. We had to keep people interested for four years before they actually got to feel it for real, so I know how important depth is. Despite the negativity that has often surrounded the Games and their London focus, the nation was at the forefront of every bit of decision-making. I saw customer-centricity on an epic scale. Nobody was to be left out. As the marketing partner, you were reminded daily that your sole job was to make as many people feel a part of the Games as was humanly possible. We talk about involvement and participation a lot in marketing, and what an essential component it is to building integrated experiences. 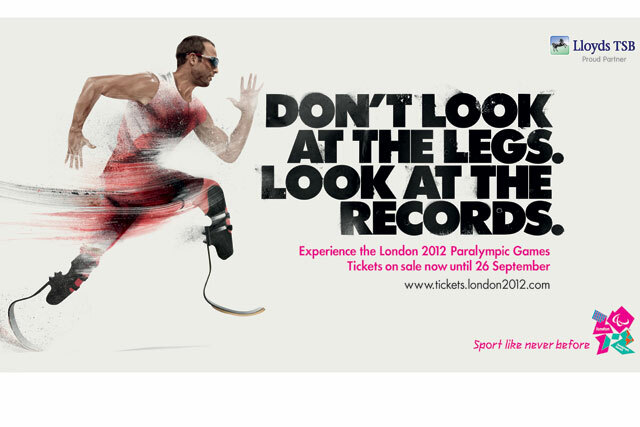 However, I'm not sure I really understood what it meant until I started working on London 2012. Looking back, there were five ideas that built the extraordinary involvement we have seen. By renaming them Games Makers, we elevated them from being people who would help out to the people who would make our Games. In doing this, we started to hand over ownership and partnership of the success of the Games to the nation. Getting people to nominate people they knew and who they thought were deserving of carrying the torch created involvement in the torch relay that would have been much harder if they had been chosen by a committee. This handed ownership of the safe passage of the torch to individuals and small communities and not the hands of a faceless organisation. The greatest tickets on earth were the greatest tickets on earth whatever sport you watched and, my God, did you feel that at every venue, whether in the Park or not. I went to the North Greenwich Arena and the Olympic Park. Both were equal in the excitement that I felt in being part of the Games and both were equal in atmosphere. Anyone I have spoken to, whatever they saw, has had a similar experience. When we first started visualising what London 2012 would feel like to be part of, we used an expression: "The space between the stadium and the sofa." Real participation often occurs in the places that aren't necessarily the main stage, and we see this often at festivals. The Join In app was about giving people every opportunity to create the Games wherever they were. Whether that was in their backyards, at live sites, in community centres. The viewing figures speak for themselves, as do the attendance numbers at the live sites. Join In will also live on beyond the Games and be incorporated into legacy activity. 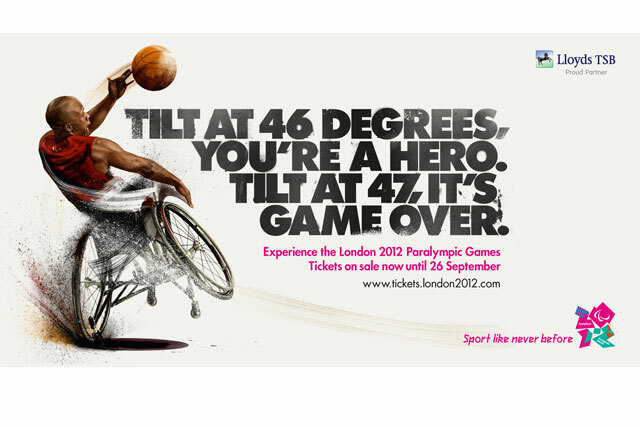 The Games-time motto "Inspire a generation" was the ultimate call to action for these Olympic and Paralympic Games. It called on all of us to behave in a way that would inspire a generation around the globe as they watched us. It demanded us to make these Games last way beyond when the noise of the Games abated, it created in us a desire to make sure our children watched and understood the inspiring values of the Games, and it made us want our Games to be remembered for what they gave the future. It called on all of us to get involved. It worked and it trended. These are lessons our team has learnt and they are infecting the way we think and work. But being part of this extraordinary festival of human endeavour has also changed the way we are living as a company. We are pioneering our community programme, sustainability has become an integral part of the way we think, we are much more focused on building campaigns that are genuinely participative and human. London 2012 has, without a doubt, changed us for the better. I have been told that every great story must have a pivotal moment when the protagonist chooses (or not) to win their dream. We saw, and have yet to see, so many of Team GB win theirs but, more than that, I hope we saw a nation win the right to its dreams. How we move forward and solidify and achieve this is a story yet to be told. But let's not forget to use the collective efforts of this beautifully creative nation to live up to the motto of "Inspire a generation" and let's make sure, when we are telling it, that it is by everyone, for everyone. Which, after all, is the true meaning of integration. Nikki Crumpton is the chief strategy officer at McCann Worldgroup.